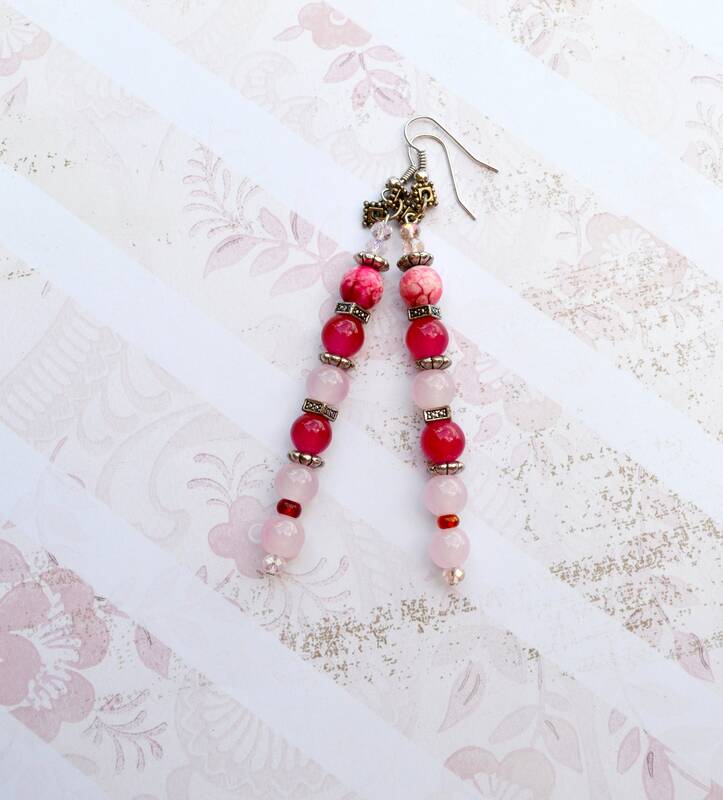 These drop earrings are a beautiful blend of light pink and fushia pink with silver in between the beads. they are very lightweight. The earring holder is nickel free. They are drop earrings and will also match with a couple of my bracelets that I have listed. They are less than an centimeter wide and the total length is 9 cm.